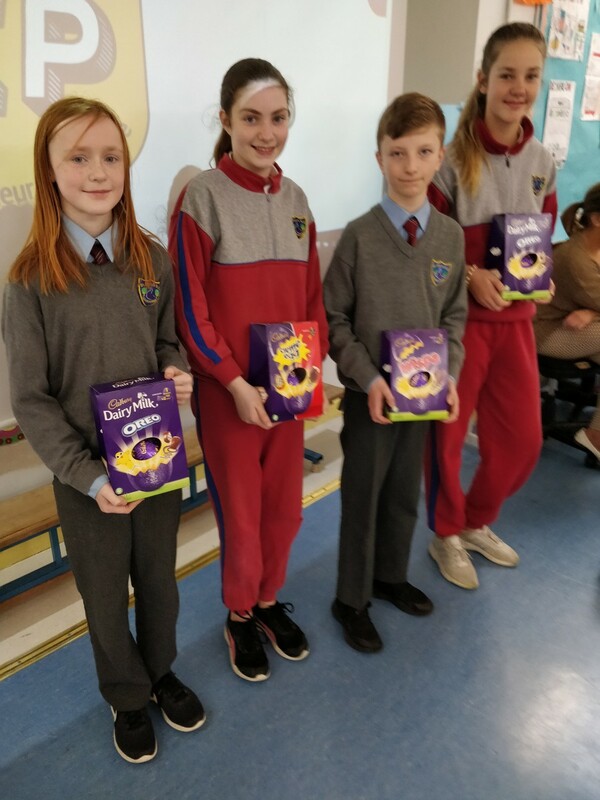 Bhí slua rudaí eagraithe don tseachtain glas i mbliana. 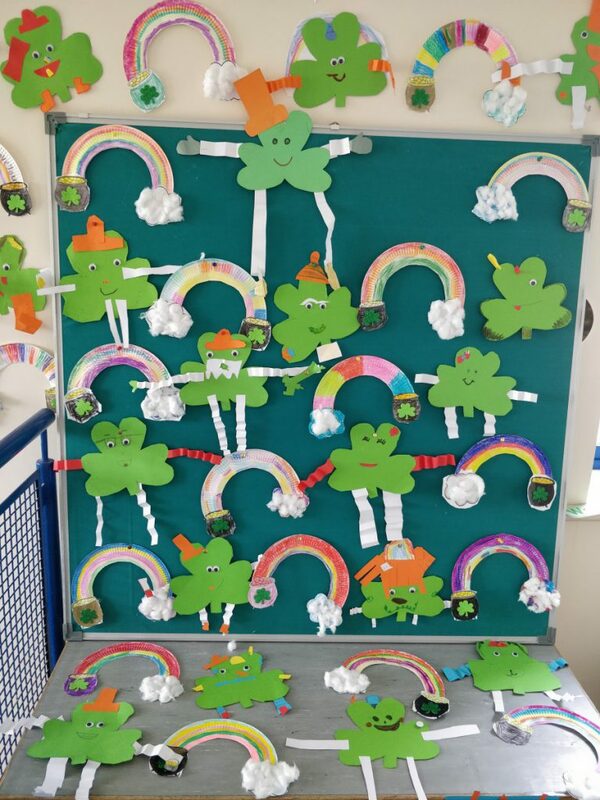 Ina measc; siopa milseán trí Ghaeilge, dhá cheolchoirmeacha, Tráth na gCeist, Ceilí Mór, BINGO trí Ghaeilge, comórtaisí Ghaeilge labhartha, srl! 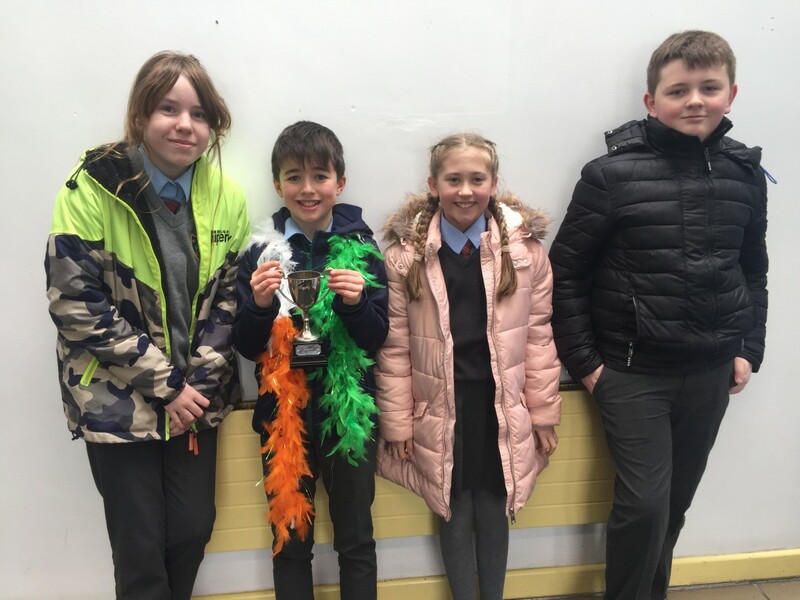 Seo iad buaiteoirí an Comórtas Seanfhocal Ranganna a 5 agus a 6, ag fáil duaiseanna, ag Tionól an Aoine os comhair na scoile le déanaí. Rang a Ceathair ag tabhairt taispeántas damhsa don scoil le linn ceolchoirm a bhí sa halla, Déardaoin! 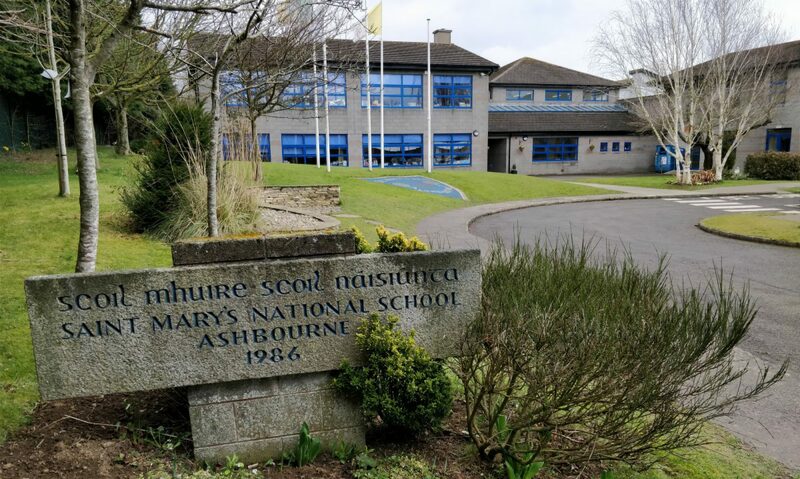 Le déanaí, bhuaigh Scoil Mhuire Tráth na gCeist trí Ghaeilge, i gcoinne na bunscoileanna áitiúla, a bhí eagraithe sa leabharlann. 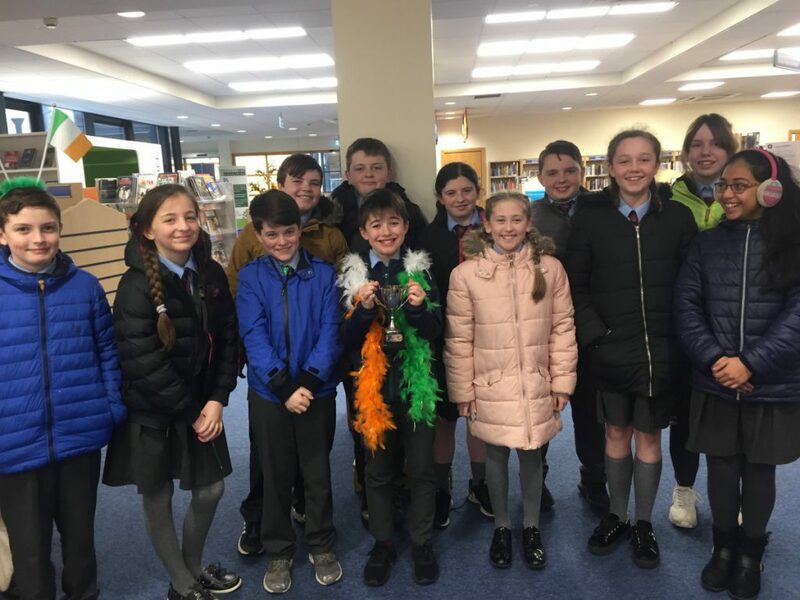 On Friday the 8th of March, twelve students from St Mary’s were chosen from Ms Moroney, Ms O Connor, Mr Cawley and Mr Slattery’s class to compete in a Trath Na gCeist in Ashbourne Library. 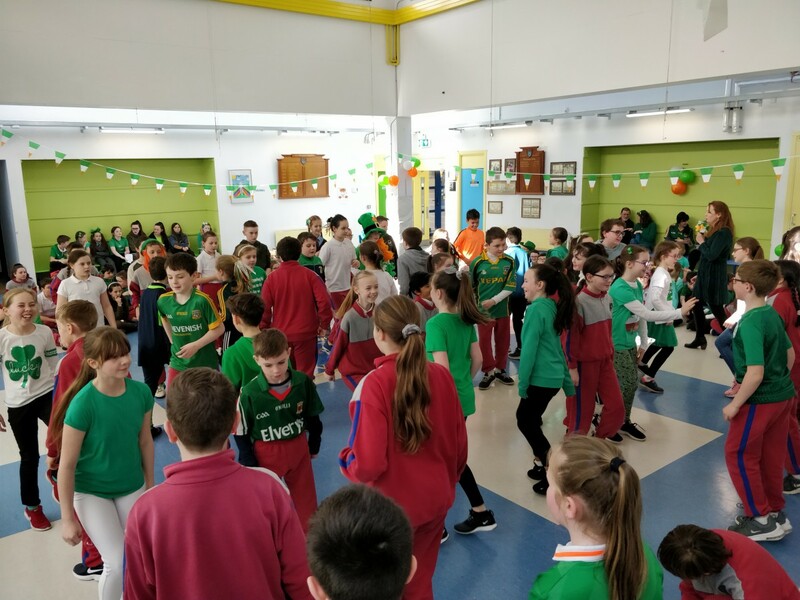 St Declans, Gaelscoil na Mí and St Marys were against each other. There were six rounds in total which were made up of general knowledge, movies, sports, books and a picture round. After each round spot prizes were given out which added to the fun and excitement of the day. 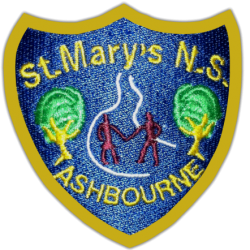 In the end, team 8 won, a St Mary’s team, which consisted of Matthew Holmes, Maisie Barrett, Rachel Mahon and Zac Brennan McMahon. Thanks to Ashbourne Library for a great day. Bígí linn i rith na bliana, ag ceiliúradh ár dteanga is ár gCultúr. Na páistí i Naíonáin Sinsearacha a rinne na tuaranna ceatha thuas!